Some of the major benefits of planning a meeting at Colorado resorts are access to a variety of meeting and event spaces, lodging types, activities, amenities and cuisine. A full-fledge staff of sales and meetings teams to concierges and experienced chefs who are on the cutting edge of culinary trends are an added bonus. 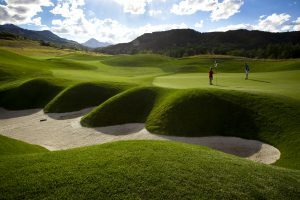 The resort may be a full-service conference center hotel or in some cases like Keystone Resort and Copper Mountain Resort, where there are large conference centers with additional meeting and function spaces and lodging options sprinkled around the ski areas. Either setup works well and gives attendees the chance to enjoy the atmosphere and not be stuck in a hotel room and meeting rooms throughout a stay. Resorts work especially well for attracting conference attendees to desirable destinations and properties, mixing business and relaxation, and bringing guests and family members along for the journey. They also are great options for incentive trips, particularly when activities like skiing, snowboarding, snowmobiling, dog sledding, golf, tennis, hiking, biking, fishing, food tours, spa treatments and amazing dining experiences are part of the mix. Resort employees tend to be seasoned experts about their destination and property as professionals who work with all types of groups and as locals who get out to enjoy their towns during time off. They can connect meeting planners with top-notch suppliers like florists and entertainers and off-property venues like restaurants and museums and provide suggestions for possible team-building options with a community service twist. Meeting and event space at resorts typically runs the gamut of ballrooms to boardrooms and also includes outdoor options like patios, lawns and pool decks. Large, attractive lobbies and lounges great for networking, stellar locations, and bonuses like spas, golf courses, tennis courts, workout facilities and classes, and on-site shops and restaurants also make resorts attractive for gatherings. Also, pro shops can help set up well-organized golf outings and informative and fun tennis clinics. Resorts not only can help take some of the planning pressure off meeting organizers, they are frequently reasons why attendees commit to registering in the first place!